While we often think of an infinity pool as a more adult-oriented design, it does not have to be! An infinity pool is impressive and entertaining – no matter what your age. Given this, an infinity pool can be a great option for a family-friendly pool design that everyone can enjoy! What most children want is for their parents to stop lounging and get in the pool. With this design, you can clock some relaxation time and your kids can have you in the pool with them. Family-friendly pool designs are not just about being child-oriented. We love this design as it has some fun features for your youngsters, like the slide, and some for you, like the hot tub. If you want to make everyone in your family happy, think about this option! If your family is all go, go, go, consider an oasis pool design. This design creates the appearance of a vacation spot in your own backyard. After a long week, your whole family can enjoy a mini-staycation! 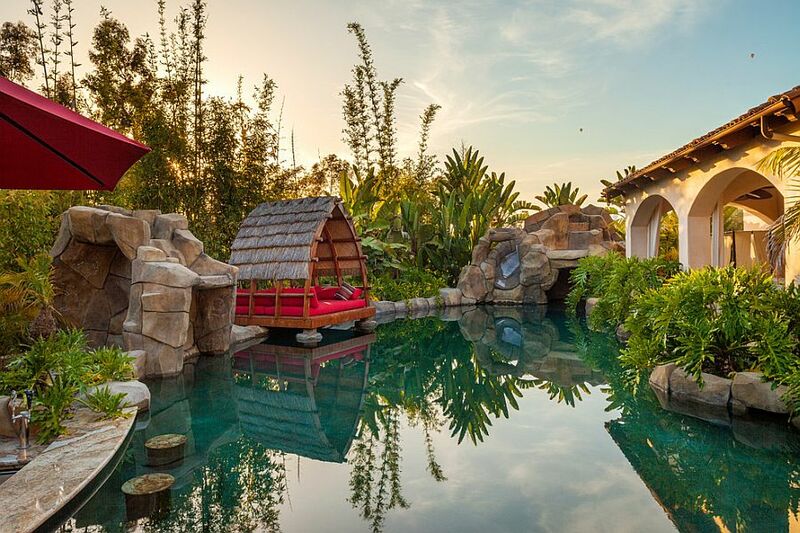 When creating a family-friendly pool design, whimsy and playfulness can be important. If you have little ones, consider something like lights with a colour changing option. This will be fun for them – and it is a feature you can turn off when you want a more relaxing, grown-up vibe. Choosing a fun shape can be a simple way to create a family-friendly pool design! You may want to include your kids in choosing the shape too, allowing them to feel like they are a part of the pool building process. Depending on the shape you choose, you could even theme your backyard furniture and decor to match! Do you have fantastic memories of your own backyard pool growing up? Want to create the same kind of memories with your own children? Go for a classic design! If you have a picture of your childhood pool, show them to your pool contractor. They may even be able to create an updated version of it for your family to enjoy! Family-friendly pool designs are the perfect way to get your kids outside! Worried your children still will not get outdoors? Contact us to discuss the perfect features to keep your children enjoying your swimming pool for hours on end!